Habitat selection models for woodland species usually consider forest attributes derived from land cover maps, such as an area covered by forests or distance to forest edge, but canopy cover is less frequently used as a predictor. 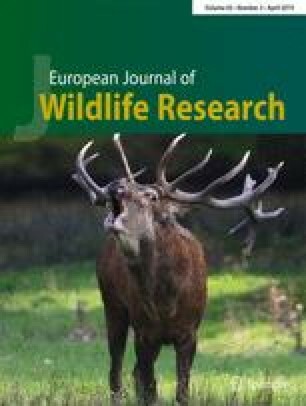 We evaluated the effect of including forest canopy cover data in habitat selection models for woodland species using the endangered Iberian lynx as a case study. We considered four canopy cover classes for both conifer and broadleaved forests, together with other land cover predictors, and analyzed a large telemetry (GPS-GSM collars) dataset. The model that included forest canopy cover outperformed, both in predictive power and in conservation management insights, the model that only used forest area. The effect of forest canopy cover on lynx habitat selection was especially strong for broadleaved forests; an increased tree cover in these forests consistently translated into significantly lower selection probabilities. Open broadleaved forests were found to clearly be the most preferred habitat. By contrast, the habitat model without canopy cover data indicated that broadleaved forests were significantly less preferred than shrublands and mountain olive groves, which may mislead conservation management actions. We conclude that habitat selection models for woodland species should consider forest canopy cover as a relevant candidate predictor as it can capture important factors influencing habitat use, such as understory vegetation abundance or prey availability. Recent developments on remote sensing technologies will increase the availability of spatially continuous information on canopy cover, facilitating a more widespread use of vegetation structural variables in habitat modeling and hence improving the conservation planning value of these models. We thank all the staff of the LIFE projects involved in lynx collaring and tracking from 2009 to 2015. Funding was provided by the LIFE+ Iberlince project (LIFE10NAT/ES/000570), the DIABOLO project (funded by the EU’s Horizon 2020 programme under grant agreement no. 633464), and the Woodnet project (ERA-Net BiodivERsA, with the national funder Spanish Ministry of Economy and Competitiveness, reference PCIN-2016-042).